This is a set of Facebook covers containing 10 unique layouts designs all made with a minimal, Nordic visual style. 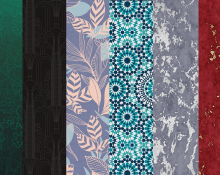 The archive contains 10 designs in JPG and 3 fully editable PSD files. Designed by Behance user Eloy Benoffi, free for personal and commercial use. 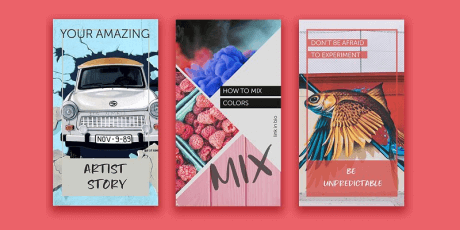 A pack of 10 beautiful templates for Instagram stories. The assets are very easy to use and customize via Adobe Photoshop. Each template has a 1080x1920px layout with fonts and background illustrations included. Published on Dribbble by Stationery Templates. 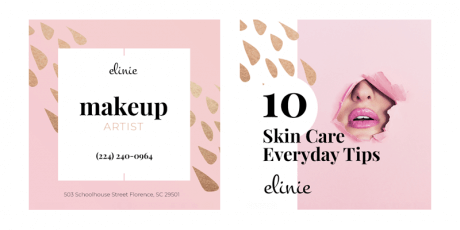 This is an Instagram post template with a beauty concept to help you with the creation of your Instagram identity or as a branding resource. The templates come in layered PSD files, including smart objects and dimensions of 1080x1080px per layout. It supports Photoshop versions from CS4 up to CC. Published on Behance by Mockups For Free. Here you have a clean Twitter profile concept widget delivered as a fully editable PSD file. The location data on the bottom could have either a transparent or solid background, depending on the style you're aiming for. Among the elements on the widget, we can find the classic avatar, tweets, followers and following data, along with a single tweet. Here we have a small concept for a Pinterest widget with a comment section, as a completely vector-shape layered PSD file. It displays the main image, its name, the amount of repins, likes and comments, source and a comment box with its respective submit button. This item allows us to create four social blocks to share on Twitter, Facebook, Stumbleupon or via email, it is a fully editable PSD with layers on a single file. Every button has its distinctive style, with unique elements that adequate to every box, and the respective counter. They also have a realistic style, with shadows and gradients. The Obox Social Icon Pack is a nice creation in a flat style, composed of small squared social icons with rounded borders. 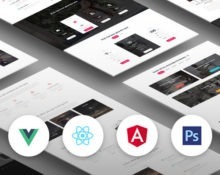 It has an impressive variety of icons in the business like Android, Dribbble, Email, Facebook, Foursquare, Google+, Instagram, Pinterest, Reddit, RSS, Skype, Spotify, Tumblr, Twitter, Vimeo, Xbox, LinkedIn and many more. Hey guys! Here is my third Freebie. It includes most of the commonly used item on webpages, so feel free to download and use it for free. A smooth, colorful sign up window that suggests the user to log in through their social media accounts, with the help of stylish boxes representing three different networks. 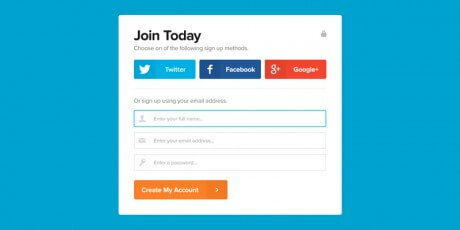 Users can also sign up by entering their e-mail information and clicking on a lovely orange “create my account button." Justin Nurse did this Dribbble shot. This is an excellent set of icons created in pure vectors with some of the most relevant social networks and tools out there - Facebook, Twitter, RSS feed and YouTube - free to use these icons in personal or commercial projects. They are fully editable files in PSD format. A Twitter widget created by Brandon Morreale as part of a bigger project called Retronauts. Its limited space works well for showing short pieces of info, focusing only on one tweet, the username and the date. Additionally, there's a small Twitter button where we can link the user wherever we want him to go after (the full profile being the logical option). 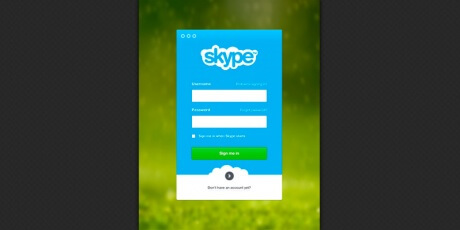 Logon interface for skype, adaptive mobile interfaces. Daniel Sandvik from Dribbble has achieved an exquisite finish in this example. Keeping the color palette native of the precursor video calling, tones, gradients and other details, make this a professional staff. Here we have a concept design for an Instagram profile view or widget, this is a woody concept for an Instagram profile badge or widget. 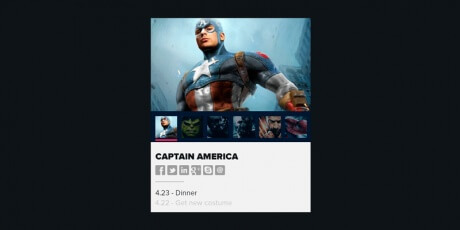 It is composed of a simple header with the user's name, thumbnails and an icon for reloading. Lastly, we can see info about the number of photos the user has, followers and following. Here's a simple widget for playing music on a website or mobile application. At first, it shows social buttons to share the moment (with different states), a setting icons where we can customize the experience, the album artwork for the song playing and name of the artist and song (it never hurts to add a field for the album, if there's space). Available for free download in PSD format. This PSD includes smart objects of each fish including social icons in vectors. The icons available are LinkedIn, Twitter, Dribbble, Pinterest, Instagram, Forrst, Tumblr and Facebook, all created as different fish and sea creatures. This set of icons is perfect for kids' websites, blogs or apps looking for a more vibrant and playful look. Here we can see a small widget for tweets with two embossed buttons to attach a photograph and current location. It has a header in which you can put a title, a text area for writing your tweet, showing to you the amount of characters left, a button for adding a picture, the button for the location and the Tweet button. It is a PSD that you can download for free. 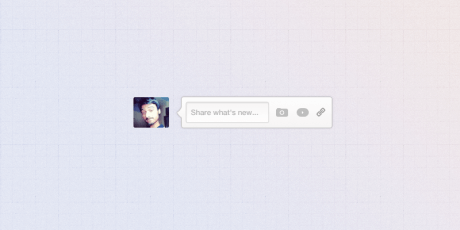 Todays PSD Freebie is the Stacked Twitter Status (PSD). 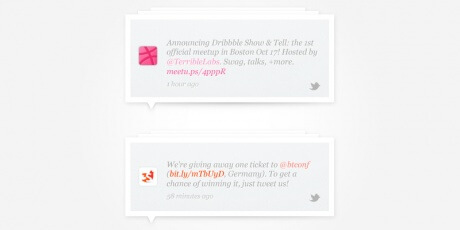 Use the Stacked Twitter Status (PSD) design to display your most recent tweets on your website. As always included is the fully layered PSD file for you to change/edit to fit your design. 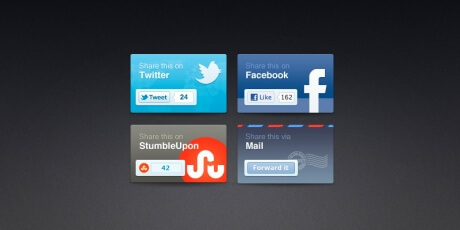 The usual simple social share buttons improved and making them similar to each other. Enjoy the free PSD. This pack is composed of minimal icons including two states, perfect for websites and interactions. This includes icons for Facebook, Twitter, Google+, YouTube, Dribbble, Forrst, Tumblr, Last.fm, RSS, Behance and more. It is allowed for personal and commercial use with or without credits. 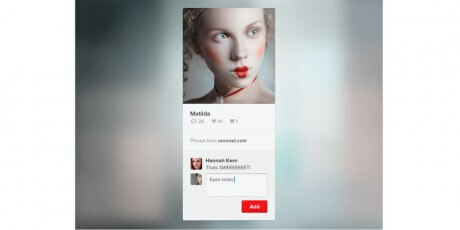 A small and smart design for a tooltip that will allow users to share content. 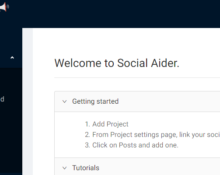 As you can see, it is ideal for a social networking and provides options not only for text but videos, links and photos through a simple trio of icons. A simple and effective way to let people communicate with fellow users. 740 Graphic Design Assets Collection, Only $19! Extended Commercial Use License, Ornamental & Abstract Backgrounds, Design Papers, Borders, Compositions, Frames, Illustrations, and Much More! When putting content up online in a public site like Facebook, particularly for a business, it is important to make sure everything looks perfect before uploading anything. This PSD template is a fantastic asset to check any future uploads previous to anyone seeing them. This is a rebound of Justin Nurse’s shot in which he created this social widget. The author, Mikael Edwards, made it a bit more fun and added animations. The top was made in AE, although he tried to keep it mostly in PS, so the rest was done in Photoshop. Wanna know how it was created? Check out the PSD. A beautiful concept for a profile card with a very clean and spacey design. 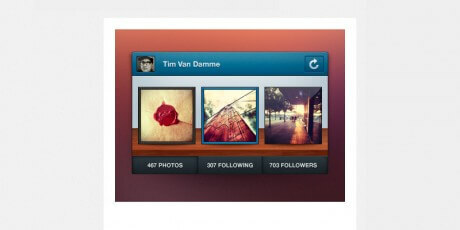 It is meant to be divided into tabs, in order to show the profiles for multiple social networks within the same widget. 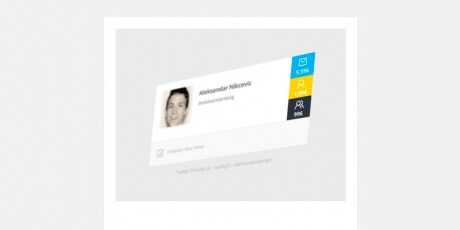 Each screen displays an avatar and basic information regarding that particular website's profile. A hefty set of social media icons brought to us by Designmodo. The pack contains 35 items in PNG and PSD formats, allowing editing or just direct implementation in your project. They don’t only feature social networking sites, but also messaging (Skype), blogging (blogger, WordPress) and email (Yahoo!) alternatives. This template will help you create a medium sized banner for promoting apps or other products, emphasizing on the importance of good advertising to bring users to your project. A high-resolution version is available for good viewing on retina displays. 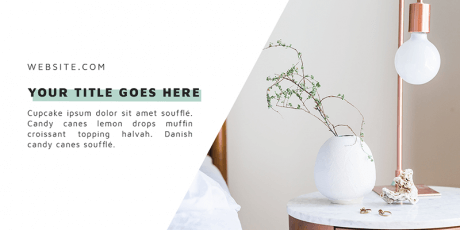 670+ Kitchen Scene Creation Objects Only $19! 200+ Customizable Items & Textures Included. High-Resolution Files. This is yet another PSD widget that also comes with a CSS version. 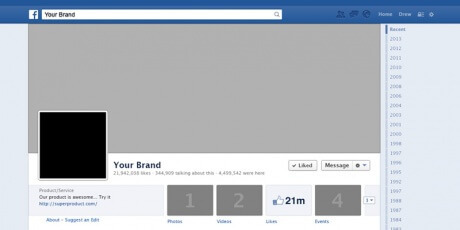 This funky design shows off your Facebook presence with an avatar photo, the latest status update, the number of likes and comments. 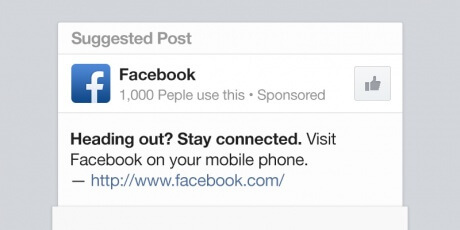 Enjoy either playing around with the PSD, or hooking the coded version up to the Facebook API. You can grab this design for free. 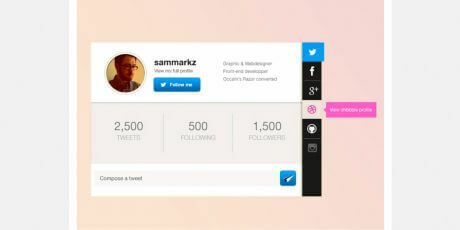 A flat-styled concept for a Twitter user profile widget. It offers information on the amount of followers/following and features icons for writing a new tweet, upload a photo, tweet a link or enter general settings. It's a quite simple design, featuring nothing more than white and blue to dress up the widget.